World MUAYTHAI Magazine reaches the most sort-after athletes, professional trainers, promoters and sports fans in MUAYTHAI Boxing. 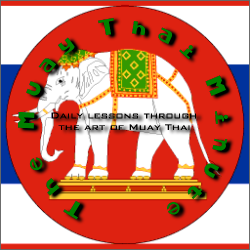 Be inspired, informed and keep in touch with trends and opportunities shaping MUAYTHAI today. Congratulations on your new contributor status on World Muay Thai magazine. It's awesome. You're awesome. Good luck. Part 2: "Fear As Friend"
Super Size My Muay Thai?